I’m feeling nicely pampered and groomed for the weekend courtesy of HC MedSpa who invited me to try them out. 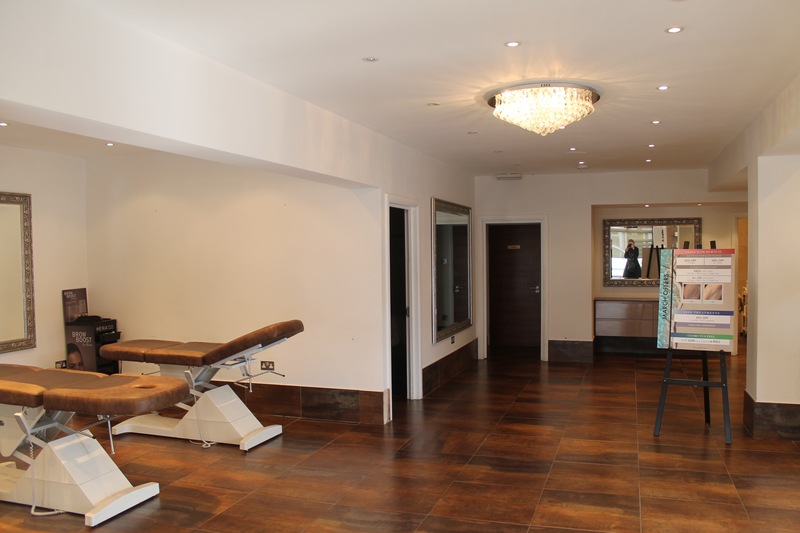 HC MedSpa is a small chain of beauty and aesthetic clinics specializing in technical as well as more traditional treatments. Personally, I will only go so far when it comes to anti-ageing and “freshening up” my appearance, but I do like a decent facial and some regular maintenance. However, there are plenty of options here whatever your aims and budget and clients include many men as well as women. Laser hair removal is apparently popular at this salon. I started off with a comfortable and painless bikini wax with Delizia (love her name) who used hot wax (£16–24) before moving on to a facial and massage with Hannah. These were in different treatment rooms and I asked for a towel so that I didn’t have to dress and undress again. A bathrobe would have been handy. Once installed with Hannah, like at Odette Beauty, I enjoyed snuggling under a soft velvety throw. Little tea lights are dotted around the room and the lighting was comfortably low. However, the music was more upbeat and lively than I’m used to in this environment. Perhaps this is stop people from drifting off to sleep. After consulting me about my skincare regime, health and diet Hannah recommended the Vitamin Boost Anti Oxidant Facial by Vitage (£60), ideal for sensitive, tired and devitalised skin according to the website. The stages included revitalizing cleanse, steam, micro skin polish (exfoliate) then skin calming aloe gel. Hannah was thorough and firm with any blocked pores. This was followed by an excellent face massage with serum, then vitamin C tightening serum and radiance mask before finishing with collagen hydrator and finally weightless SPF 45, and hot towels were used throughout. Comprehensive stuff. I’ve just scrutinized my face in my harshly magnifying mirror and the pores definitely look smaller and my skin still feels lovely a day later. After a few sips of water I enjoyed an hour-long Swedish massage with Hannah (£50). She was firm and precise and again used lots of hot towels which felt wonderful. This is definitely more of a pampering massage than one with Anthea Sweet for example, but her pressure was good and following on from the facial, it felt very luxurious. 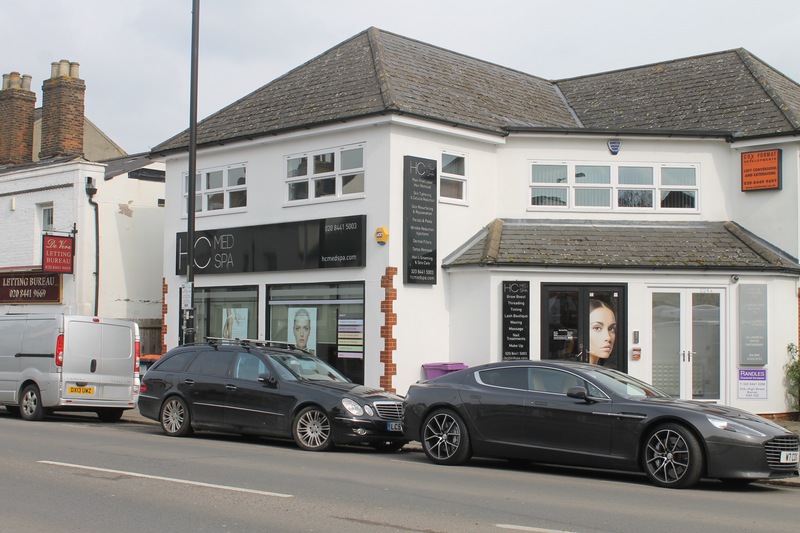 To complete my visit I had an eyebrow and lash tint with Delizia and some threading to tidy and define those brows (£26) in the open area at the front of the salon. I was cautious about the brows as I wanted them boosted rather than end up with the kind of “shouty” brows you see everywhere. Mine now look longer and more elegant and tone with my fair hair – you’d think they’d been touched up with a brow pencil as they’re quite subtle. I’m happy to recommend HC MedSpa, but I do think using the word “spa” is misleading. “Spa” is a general and widely used word, but, certainly to me, it does imply other facilities such as sauna or steam room or at the very least a relaxation area. As mentioned earlier, given that I was having a few treatments, there were no robes to ease with the practicalities and it’s so much more relaxing to feel a though you are settling in for a while. That said, the treatments were good and the staff charming and helpful.